One of the great things about Zazzle – besides the 100% satisfaction with purchases & their fantastic customer service – they have international stores! A couple of my designs already have shipped internationally! Which is amazingly wonderful!! 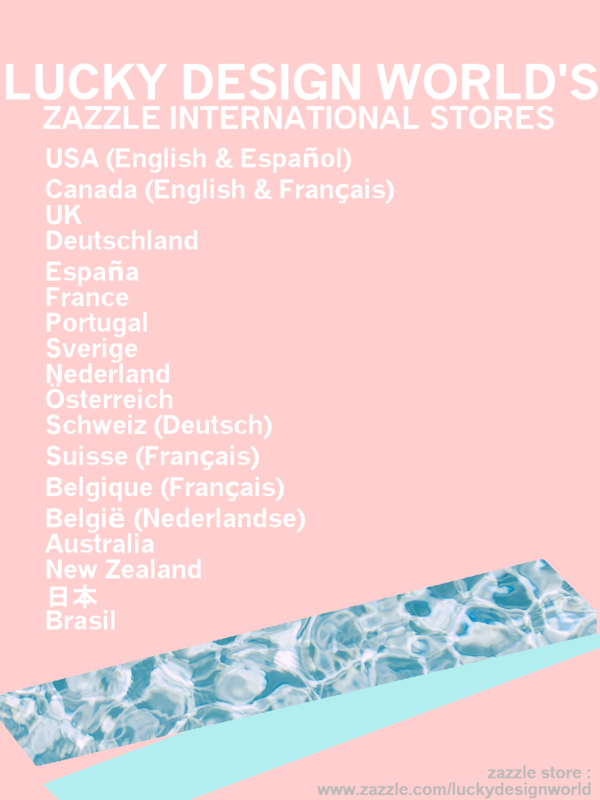 So, here’s the list of my Zazzle store’s international shops. Please keep in mind the translations for product descriptions are done automatically so there could be some errors. A lot of love & effort went into creating this page – please enjoy and visit! 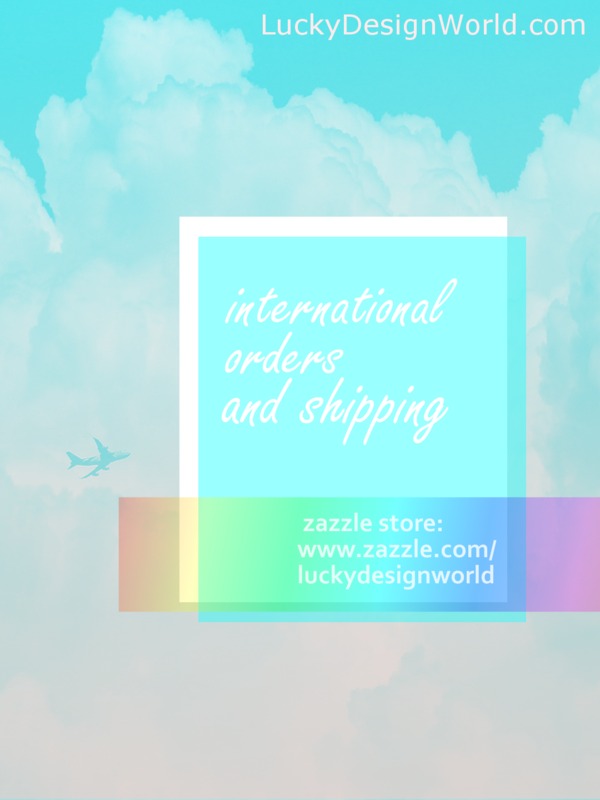 Clicking on the link will re-direct you to the corresponding international store of Lucky Design World! USA (English) – Thank you! Canada (English) – Thank you! België (Nederlandse) – Dank je! New Zealand – Thank you!